Ahead of the release of their debut album Backwater (out October 20) Kllo today share the incredible video for the recently released track ‘Downfall’. This clip shows a journey from the cold urban-scapes of the band’s hometown Melbourne, to the golden hues of the Sunshine Coast in Queensland. 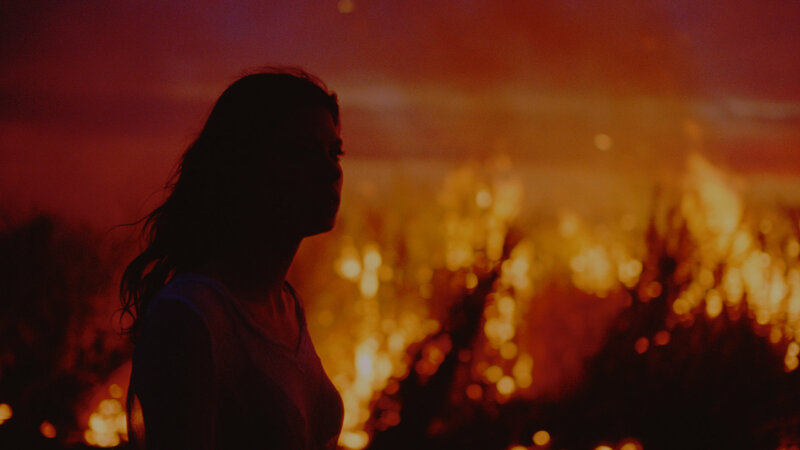 It follows Chloe through from a place which she must escape, to a nostalgic place of familiarity, ending in a burning sugar cane field, which symbolises hostile feelings that need to be released. Kllo’s debut LP Backwater is due for release on 20 October (via Good Manners Records/Caroline Australia, Ghostly International and Different Recordings), and will be available on CD, digitally and on 180g double vinyl + ltd edition coloured vinyl. Melbourne duo Kllo (formerly Klo) recently showcased themselves as a powerhouse in waiting with their stunning new single ‘Bolide’ (the first track off their new EP Well Worn), and today are excited to share their visual imagining of the track. Premiering on Complex, the video was filmed with past collaborators Hamish Mitchell and David Mckinnar, and plays as a perfect backdrop to the blistering new single. Within days of its release, ‘Bolide’ had been added to rotation on Australian radio (Triple J, RTR, FBi) and received spins on BBC Radio 1 & KCRW, as well as receiving upwards of 1 million plays on Spotify to date. As Hypemachine’s ‘most blogged artist’ the new single was one of the most talked about tracks in the world as tastemakers once again scrambled to champion this exciting, fresh project. Things happen so fast these days that Kllo barely had a Facebook page or a proper song before a wave of interest began to build around their breakthrough EP. What a telling record title; in the year since its release, cousins Simon Lam and Chloe Kaul have played sold-out shows and festival slots throughout Australia (Dark Mofo, Beyond the Valley & Melbourne Music Week among many others) and overseas (the Great Escape, Primavera Sound), racked up millions of plays on Spotify, and landed on several Artists to Watch lists. They also recently announced their signing to Ghostly International (North America) and Different Recordings/PIAS (UK/Europe/Japan). Now they’re about to chase steely pop singles like ‘False Calls’ and ‘Make Me Wonder’ with the next logical step: Well Worn, an EP that enhances Kllo’s high-gloss hooks even further. Guided by the ghosts of UK garage and like-minded strains of underground dance music, lead single “Bolide” sets a skittish beat against a clipped chorus. Catchy, yes, but also a compelling track of substance and subtlety that’ll leave listeners longing for the pair’s EP. Well Worn is out August 5th on Ghostly International (North America), Different Recordings // PIAS (UK/Europe/Japan) and Good Manners Records (AU/NZ/ROW). To celebrate the release of ‘Bolide’, Kllo will be heading off on an East Coast tour of Australia this week. They’ve also been announced as part of the huge Splendour in the Grass lineup (July 22-24). The video was directed by Tess Hutson (who also directed Lucian’s ‘From Afar’ video) and was filmed in the gorgeous coastal town of Bermagui in New South Wales. The story was inspired by the song’s potent lyrics; a story of the subconscious contrast to reality, how unspoken desires can burden or motivate us. In Bad Faith, the classically-trained Blomkamp embraces the endless possibilities of the electronic medium to make polished yet provocative music, that has a kind of beautiful sadness to it. His musical background and eclectic influences coalesce into an inventive style that is uniquely his own. Bad Faith will be released 1st April 2016 on Good Manners Records. Stay tuned for more news to follow. LUCIANBLOMKAMP was recently announced as the first signing to new label Good Manners Records (a partnership with Caroline Australia), with his second album Bad Faith due out in early 2016. The first taste of the album was ‘From Afar’, a track of ominous atmosphere and introspective reflection which was quickly celebrated among local and international communities alike. LUCIANBLOMKAMP now shares a second chapter from his upcoming album, with ‘Comfort’ another indication of the musician’s considerable talent. Dark and haunting, the track highlights his vivid creativity and further emphasis on song-writing as his incredibly emotive tones appearing from behind the shadows of his earlier work. Good Manners Records announce their first international signing – eclectic Scottish musician Makeness. Licenced from UK tastemakers Handsome Dad Records (Spring King, The Big Moon), his lead single ‘Rogue’ has been championed by the likes of the Fader, DIY Mag and Clash, while also receiving airplay on BBC Radio 1. The title track and first taste from Makeness’ debut EP, it’s bound to stamp this genre-bending talent on the map, and we are thrilled to be able to bring it to you. Makeness can be mapped to the vast, open hills of Scotland, and a desolate ridge of the same name where producer and songwriter Kyle Molleson arrived after a less-trodden path. His childhood was spent moving between Edinburgh, The Outer Hebrides and South West England, before an interest in music and technology in part led to a degree in Electronics at Leeds University. Here, playing bass in Glad Hand led to numerous trips north of the border, where the band worked on an album in the hillside studio he helped build. ‘Rogue’ introduces a debut EP themed around the idea “of having two realities, and not being able to distinguish which one is real life.” It’s a selection caught between places and states, with the rhythmic, increasingly-urgent ‘Laca’ and ‘Langa’ finished following a move to London, and starkly contrasting with the wide open spaces of Makeness’ roots. Drawing on a passion for Afrobeat, New Wave, Folk Music and Detroit Techno – from a unique vantage point in the Scottish wilderness – Makeness’ debut EP contains four largely-instrumental songs, but all still vocal in their movement, openness and depth. Out via Good Manners Records (AU/NZ) December 9th. Stream the b-side ‘Laca-Langa’ below. After the success of 2014, LUCIANBLOMKAMP returned in late August with ‘From Afar’, the first single from his sophmore album Bad Faith (due out in early 2016 via Good Manners Records/Caroline). 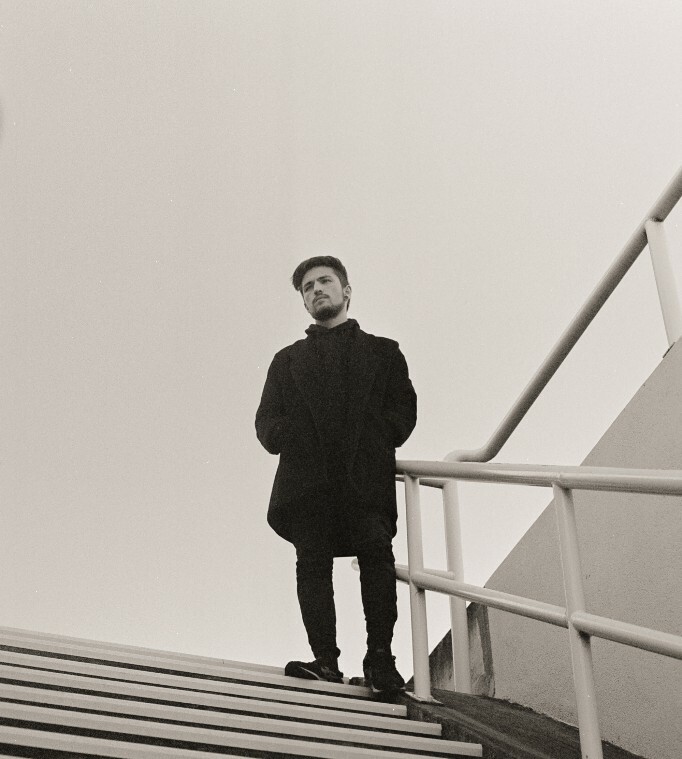 A track of ominous atmosphere and introspective reflection, his new material also sees a further emphasis on song-writing, with his emotive vocals appearing from behind the shadows of his earlier work. Given the cinematic energy his music creates, LUCIANBLOMKAMP’s new video for ‘From Afar’ is a perfect visual accompaniment. Directed by up-and-coming Melbourne director Tess Hutson, the video showcases the melancholic and pensive nature of this talented musician’s creations. In its intriguing storyline and dark undertone, we observe a ‘day-in-the-life’’ of a woman who is entirely disconnected from her life and those around her. Director Hutson says; “The track is about feeling disconnected from other people, and while some of our initial thoughts were very external, we wanted to see what would happen if our character kept her turmoil within herself. This leaves the viewer to decide what’s going on in the character’s head, let alone what has happened to her to lead to this outcome”.